In nature, males’ eager attempts to mate with females can be so extreme that they will harm females. Such negative impact of mating interactions has been shown to promote the emergence of new species. Today, in Proceedings B, we publish a study exploring an alternative scenario in which female diversification brings the coevolutionary chase to the end. In a seminal PNAS paper from 2002 Sergey Gavrilets and David Waxman outlined several regimes in which sexual conflict would maintain population polymorphism and thereby stop population divergence. Under these alternative scenarios, negative frequency-dependent sexual conflict acts as a conservative pullback force that prevents population divergence by maintaining rare male and female morphs in local populations rather than resulting in evolutionary escalation. However, it is largely unknown if such stabilizing selection occur in natural populations and this is what we set out to show in this study. Diving beetles are one of the few well documented examples of speciation via sexual conflicts. In many diving beetles, males are equipped with suction cups on their front legs. They use these suction cups to attach on the elytra of females during mating. This grasping ability has become so effective that females can be harmed under high mating pressure. As a consequence, some females have developed a rough elytra reducing the male adhesive ability.As a counteradaptation males have evolved their suction cups to increase adhesive power on rougher elytra structures. These male/female counteradaptations have been described as an arms race causing speciation in diving beetles. A male of the diving beetle Graphoderus zonatus and the two female morphs with or without granulated elytra. The species has been trapped in an evolutionary standstill due to mating conflicts between males and females. Left: © Niels Sloth/Biopix. Right: © Johannes Bergsten. Here we study a species in which the female is known to be polymorphic. In the diving beetle Graphoderus zonatus females are present in two morphs, one with a smooth elytra and one with a granulated elytra. We wanted to test if this polymorphism was an ongoing speciation event or if the females was captured in a polymorphic state due to sexual conflict (as described by Gavrilets and Waxman). 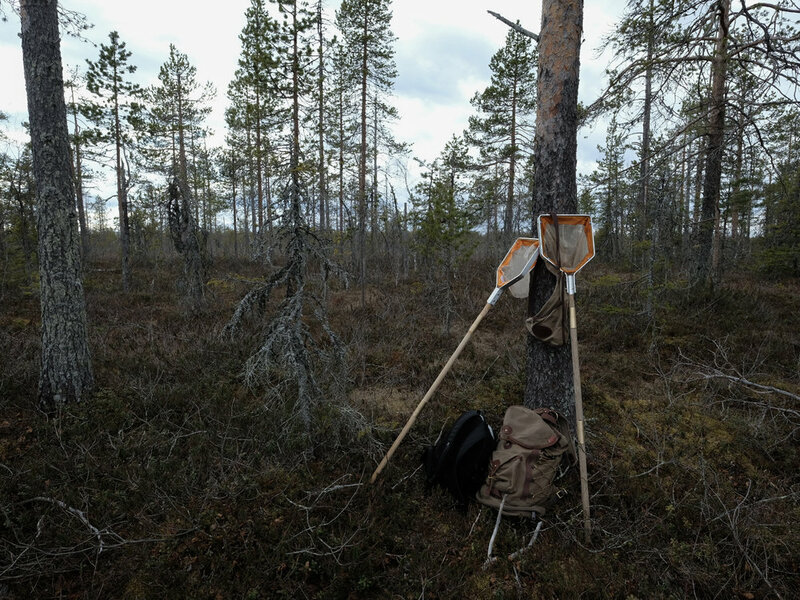 The work consisted of two field campaigns, one in 2016 and one in 2017, where we collected beetles from 29 boreal lakes in Sweden. The first important finding in our study is that males have diversified in correlation with the females. The variation in male suction cup morphology was divided into two distinct clusters. Within populations the proportion of these clusters were closely correlated to the proportion of female morphs. The match between male and female morphs within G. zonatusis identical to what we see between species in the family. Males adapted to a smooth elytra structure have a few rather large suction cups optimized to attach to a smooth surface. In contrast, males adapted to rough elytra structures have a high density of very small suction cups. This all suggest that there indeed is correlated traits between the sexes.. Correlation between male and female sexual traits in Graphoderus zonatus. Left: Two separated morphological clusters of males based on variation in male protarsal discs (the inserts depict examples from each group). Right:Positive relationship between the proportion of females with granulated elytra and males with Group 2 disc-traits in the 29 sampled populations. The second important finding is the presence of assortative mating and negative frequency-dependent selection between the male and female morphs. By collecting copulating beetles, we did show that there was assortative mating (and thereby genetic correlation) between male and female trait pairs. The presence of negative frequency-dependent selection was inferred indirectly as a morph “pullback force” within population dynamics. We had historical trait data in seven of our study sites. From these we could see that populations move towards a state where both smooth and granulated females are equally abundant and thereby minimizing the mating pressure on a specific female type. These repeated measurements also confirmed the outcome in Gavrilets and Waxmans model, that populations maintain polymorphism through time. Evolutionary dynamics of male and female morph frequencies in Graphoderus zonatuspolymorphism. Left:Change in the proportion of male and female morphs from 1990s (red) to 2017 (blue) in seven populations. The dotted line depicts a saturated morph correlation. Right: Distance from observed proportions of male and female morphs to the 0.5/0.5 equilibrium point in the 1990s (red) and 2017 (blue). The average distance to the predicted equilibrium point decreased during the study period, consistent with equal fitness of all morphs, frequency-dependent sexual conflict selection and assortative mating maintaining both male and female morphs locally. In many ways this study points to some remaining and outstanding questions under which circumstances sexual conflicts do and do not promote speciation. Hopefully, there will be follow up work on these beetles exploring aspects such as the genetic architecture of this polymorphism and if sexual antagonism arises under specific conditions breaking the evolutionary limbo these beetles are currently kept in. In Science, I've written a letter together with Mette Bendixen as a response to the vast amount of stories and research on harassment in academia. The letter propose that funding agencies have the power to be a part of this highly necessary shift in the academic culture. By incorporating code of conducts for acceptable behavior from their grant recipients, they are forced to integrate safety standards into grant proposals. We hope that this letter would start a debate and make grant recipients aware of the responsibility they share with the rest of the academic community. The field season of 2017 is long over, most of the memories from this summer is now stored in data tables or as graphs in manuscript drafts. Reflecting on the fieldwork conducted is a great escape from a rainy December evening and a reminder of the commitments aviating next year! 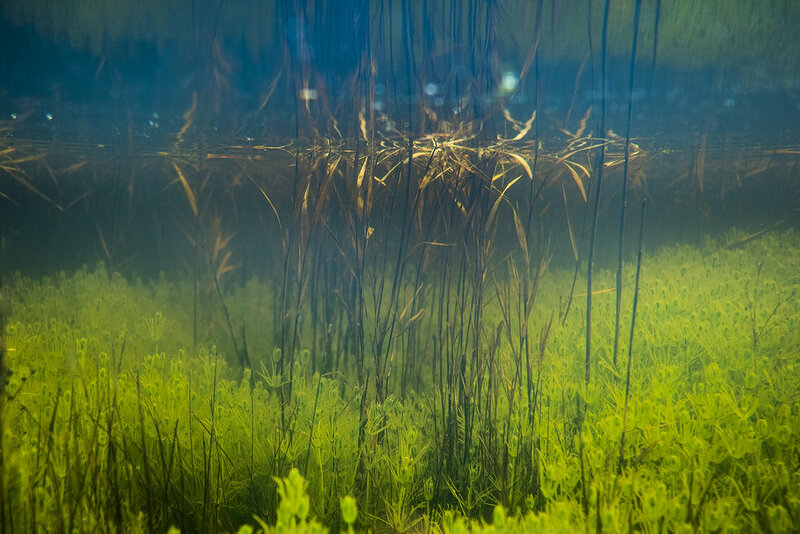 Justifying collecting and preserving thousands of aquatic insects is their contribution to the higher research questions originally motivating (and funding) the field work. A field campaign is first complete once the paper is written and accessible to the broader community. 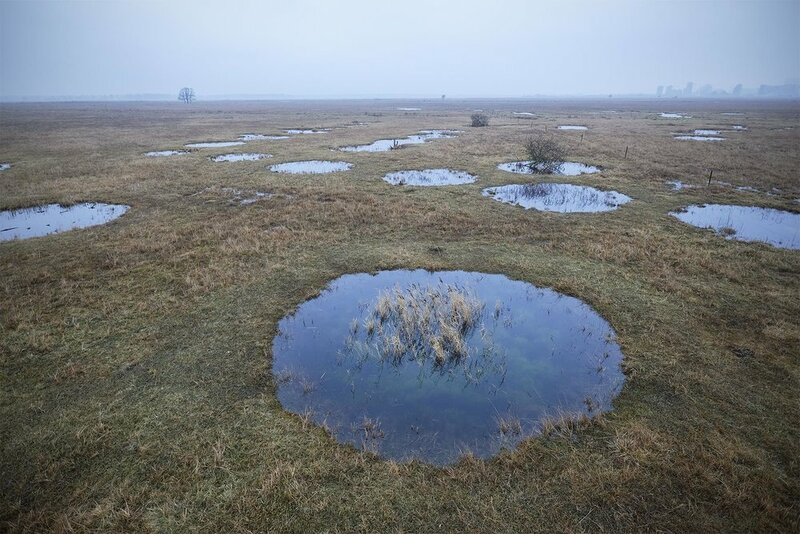 A major aim of the year was to create a baseline dataset from a cluster of ponds created by World War II bomb creators at a coastal meadow near Copenhagen. This included seasonal temperature logs, daily oxygen/temperature stratification across the season, sampling of aquatic insect communities and other classic environmental descriptor measurements. Furthermore, a project on sexual conflicts in diving beetles was continued for the second year in a row. During an intense two weeks field campaign more than 50 lakes were visited along a gradient from central Sweden to north of the polar circle.